New Zealand prime minister Jacinda Ardern has impressed people all over the world with her strong leadership skills during a time of national crisis. 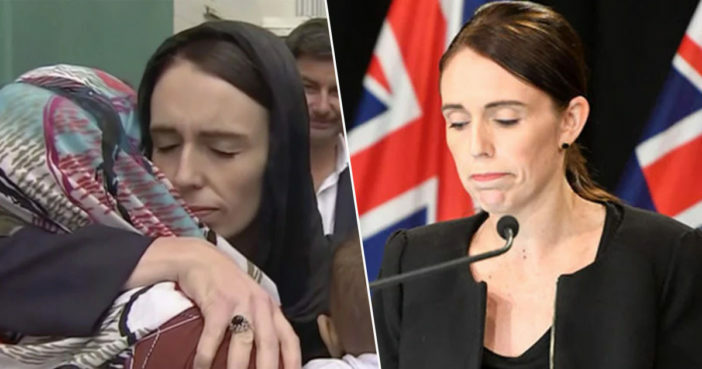 Her response following the terrorist shootings in Christchurch have set a shining example to other world leaders who are dealing with the issue of terrorism and gun crime. Ms Ardern has shown compassion and respect for her fellow New Zealanders, calling out hate and embracing the country’s Muslim community. Wise beyond her 38 years, Ms Ardern’s welcoming, progressive stance has been a true source of comfort and light during what has been a very dark moment for New Zealand, and indeed for the planet as a whole. However, Ms Ardern has also gone far beyond just supporting her citizens with heartfelt words. She has also taken quick and decisive action to push for change. I have been steadfast in my belief that the vast majority of these owners will support what we are doing here today because it is about all of us. It is in the national interest and it is about safety. In 2017, New Zealand was found to have the 17th highest rate of civilian firearm ownership on the planet. Many citizens have expressed support for this new ban. Furthermore, Ms Ardern has spent time alongside those who have lost loved ones during the terrorist attacks, wearing a hijab as a sign of respect. She has also pledged to cover the funeral costs of those who have died. People are now calling for Ms Ardern to receive a Nobel Peace Prize for her commendable efforts in the face of terror. World needs a politician like her and specially a women at the age of “38”#NobelPeacePrize should go to her. Really admire with her for nice gesture. This is what a Real Leader Looks Like..!! Call for @jacindaardern to be nominated for the #NobelPeacePrize#NobelPeacePrizeForJacindaArdern this beautiful wonderful leader deserves it. There is even a change.org petition to nominate Ms Ardern for the Nobel Peace Prize. Wisdom in tranquillity, like courage under pressure, is admirable. But not unknown. But wisdom and courage, both, being displayed in a situation of unprecedented tension, are exceptional. If a Nobel Prize for Peace could be given to a spontaneous statement for wisdom and courage, rather to a person, New Zealand’s Prime Minister Jacinda Ardern deserves it. Whether or not Ms Ardern receives a Nobel Peace Prize, for her show of solidarity and genuine empathy during the most horrific moment of her leadership is undeniably inspirational.